For a brief moment, I believe that I lay in The Alcove, our small clearing within a cluster of trees by Lake Mish-a-gun, back in That Night I’d shared with Him. But the waves of the lake are slamming against the inside of my head as though the water has turned to metal and is trying to break free, and the air upon my face is harsh and unhindered, full of an anger and a violence that the lake air never once inflicted upon me, no matter what the Others claimed. My entire being feels weighted, battered, paralyzed. I don’t feel right, as though I’m in a place I’m not supposed to be. With effort, I locate two of my limbs. One leg bent over the other, and my left arm crossed over my middle. Where is the rest of me? My head and body feel elsewhere. Eyes are closed, but I sense Him. All around me. Did he return? Did he leave me again? Cardinals had guided me to the beach. I remember the sand between my toes, the smoky blue of the moving water, and the branches full of changing leaves over my head as I’d stood staring at the place where He and I had made our daughter. Today is her birthday. She’s two. She’s two and she’s gone, just like Him. I try not to, but I reach, seeking Him out, and sensation and awareness both begin to prick and tingle their way through my body as I struggle to move. I reach- and find the place beside me empty. Still. My fingers dig into the earth at either side of my body, trying to anchor myself to the feeble dream, but it isn’t the bare earth of the Alcove that I have a hold of. The fleeting confusion of grass in my fists is chased away by the horrendous pounding in my head. The sound of metal waves gives way to the sound of leaves being whipped into a violent wind, and fades further until only the sound of the wind battering me from the outside remains. Brightness shines through my closed eyelids, getting loud and present as the wind until I have no choice but to open them and accept the sunlight. There’s no trees overhead, only bright green blades shooting upward around my face and beating and scraping my skin according to the orders of the wind. Above me is blue that never stops. It’s a blue that is too clean, too perfect, unmarred by the typically constant clouds. Where have the clouds gone? The wind, breaking through my skin and splintering my head, however, is neither clean nor perfect. I do not smell the lake, feel or hear her. Where am I? This isn’t The Alcove, the place where we’d made Talyn. Tears stray from my eyes down into the green holding me still. She’s two today. Where is she? I watch the green blades until their sharpness softens and becomes grass. The Alcove does not have grass. And nowhere does This Place, Chi-ca-go, have grass this green or sky so perfect blue and unhindered. Where’s the wires, the street lights, the noise and the Others? The wind attacks me in a strategic push, forcing me over onto my side. The coolness of the earth sends a shiver down my skin to my toes, reconnecting me to myself. A spot on my forehead burns as painfully as the rock in my shoulder. I remember that spot, a little right of my forehead’s center. He’d kissed me there during the night. Almost three years ago. The wind gathers up my hair and tugs it from all angles, jerking my head to make me look around. For a moment, I think nothing. Though my body has reconnected itself, what I see makes no sense. Lake, trees, lake, trees, repeats in my head even though neither are anywhere in sight. I wait for my eyes to properly relate, or my head to come back into alignment with the rest of me, but the vibrant green hills going on and on before me don’t waver. The wind keeps pushing at me, continues to roar inside my head. I was at The Lake. I know I was. I had let the sand fall through my fingers, had stretched my palms out over the water as she turned her head to mourn with me. I remember the fallen leaves of the trees spinning around into mini tornados along the sidewalk. I remember The Alcove, I remember crawling around the depression our bodies had burned into the ground, the Silver Light streaming out through the memory of us, and the branches full and brilliant above me. I glance down at my hand. Where is the Silver? Mom’s voice drifts quickly away in the wind, and the green moving hills and the infinite blue push thoughts of The Lake away. Beneath my hands and legs I feel the retreating trace of winter, can taste the memory of snow in the air. None of this is right. It’s Autumn, the ninth month of the year. It’s Talyn’s birthday, and I was nowhere near hills. Where am I and how did I get here? I attempt to pull my legs up to my chest in order to sit, but part of the dress is caught underneath my hip and I can’t bring my legs completely up. The wind is roaring in my ears, pulling my hair out and whipping it around my face, tugging and yanking, jabbing at my throbbing shoulder. All I acknowledge, though, is the dress that isn’t mine, draped over my body. I look back out at the hills- rolls and rolls of hills, going on forever all around me- and panic begins to bloom in a force almost rivaling that of the wind. Seamless. This dress is seamless. I untangle my legs from the odd- lavender? pale, pale blue? silver?- dress and set my fingertips on the spot on my forehead, which continues to tingle with the memory of His lips. I left the house in pants. I was wearing clothes, wasn’t I? All I remember is Silver, and The Lake, and her birthday. The grass on the hills rolls forward and back, waving like water, and the angry wind withdraws as my mind searches and searches. Nauseous, I lower my face to the green. Mom’s prayer wafts through my clogged head, reminding me of the Silver Light that grabbed her from Home and then cast her on the Mish-ah-gun shores of Chi-ca-go before I was born. The wind ends her truce and propels into me again, even sending her force into the earth below me so that it begins to tremble and groan. No Lake, no trees. Only green, only ear-splintering wind screaming something at me. Only lush, grass-covered earth under my face and body, under my palms with the faint, lingering smell of snow and the sense of winter retreating back to the earth’s core; and the earth below me, trembling, rumbling, its growing frustration matching my growing fear. Wind and grass. Angry and calm. Violent and serene. Beautiful, beautiful, green. Swaying and mesmerizing. Enticing me to close my eyes and go back to sleep, wake up and see another scene. But my head throbs and aches, and closing my eyes threatens to make my head explode. I frown. Wind and green. The memory of silver is throbbing in my brain, in my shoulder. I look again at the fingers before my eyes and see no tint of silver, no blanketing light over my skin, over the world. The ground beneath me is shivering, and I am trembling along with it. The hills, the burning of His kiss on my temple, and instantly, I know. The night I’d met Him, he’d worn clothes without seams. Silver light had taken my mother from Home, the world of her birth, and we’ve been waiting for The Wizard and that light to bring us back ever since. Weeping, I look skyward and count one sun, two suns, with Home’s ever-present feminine moon sleeping low and silent beneath and between them. The wind, angry and loud, is almost goading as she jabs into me over and over, almost knocking me down the hill I am crouching on, as if aggravated by my slowness. I was born in that Other Place, have never seen my parents’ birthplace, but I know where I am: I am in Home. 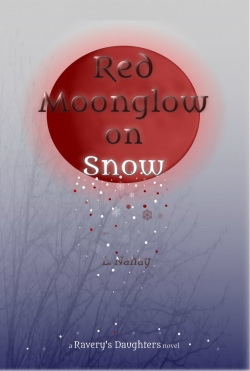 Want a description of Red Moonglow on Snow? Go to its website, here. Read the blog, explore the social links, delve into the insights. Enjoy! 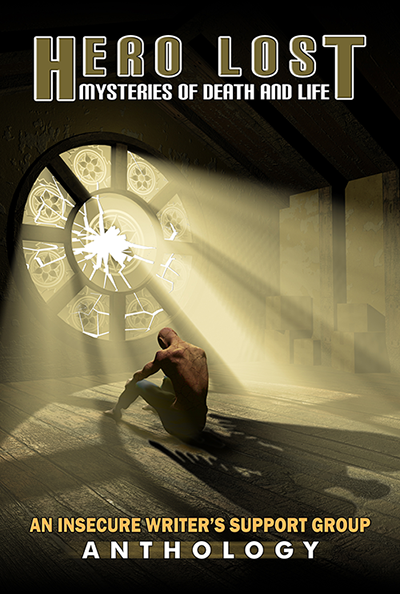 Posted in Red, RMOS.Tagged fantasy, Fiction, novel, Red Moonglow on Snow, self published, sneak peak. Previous Post Show…? Tell….? Wha?…..